Star Wars – The Last Jedi is the 8th installment in the Star Wars saga. The film is written and directed by Rian Johnson and stars Daisy Ridley (Rey), John Boyega (Finn), Adam Driver (Kylo Ren), Mark Hamill (Luke), and the late Carrie Fisher (Leia). This is a beautiful film. The cinematography is exquisite. There’s not really a shot that doesn’t make your jaw drop. It shows how massive and beautiful this world is. There really isn’t much. There is one storyline in the film that does take up a pretty decent part of the middle of the movie. This is a rather long film. It clocks in at about 2 1/2 hours. You can tell that the scene in particular is mostly there to accommodate certain characters. Not to say that it wasn’t enjoyable, but it does seem to be where the film slightly stumbles. This is a film that requires multiple viewings. 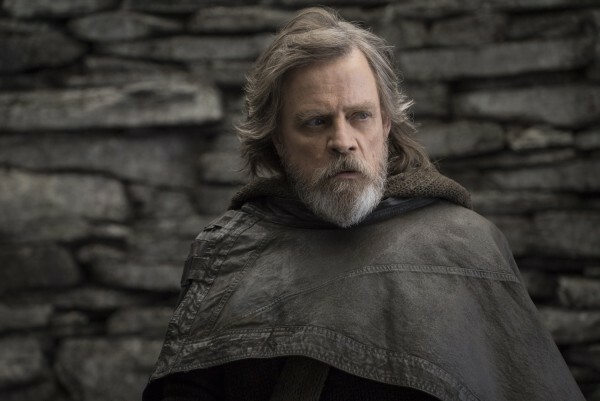 There is so much new information to take in because what Rian Johnson has done is take this world that we all know and love, and he has crafted a film that tests boundaries. There are moments in this film that were funny, there were moments where I wanted to cry, and most importantly there were moments that made me want more. I’d say this film is well worth your time and money. Go out and see it. I will quickly touch upon the use of the Porgs in this movie. There might be people that are turned off by the Porgs because they remind them of the Ewoks or the dreaded Jar Jar Binks. For me personally the Porgs did not bother me. There were actually a few moments of levity that the Porgs brought. They weren’t a huge part of the film thankfully and their usage was worthwhile.